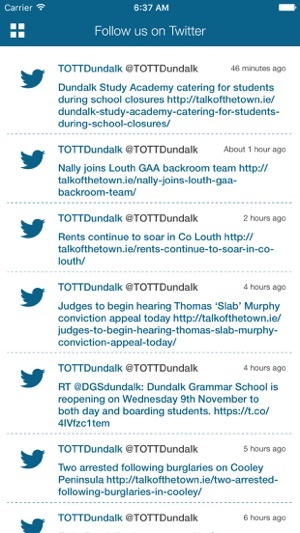 Welcome to the future of news in Dundalk. 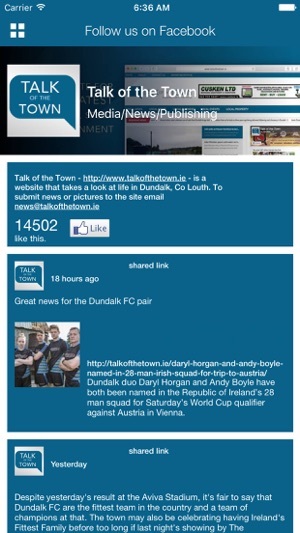 Talk of the Town has been bringing you the latest breaking news, sport and entertainment online since 2013, now you can enjoy all the latest stories from Dundalk and the surrounding areas anytime on your mobile. 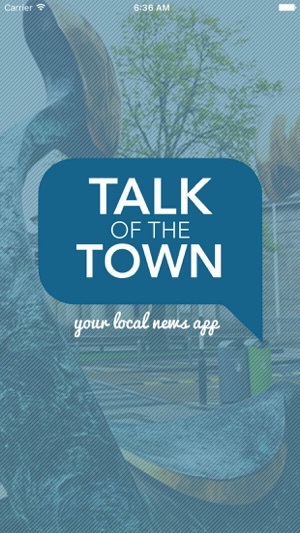 The app has also allowed us to launch two great new features such as the Events Guide showcasing a wide range of events in real time and Talk of the Town TV which will capture the town and its amazing people on film. 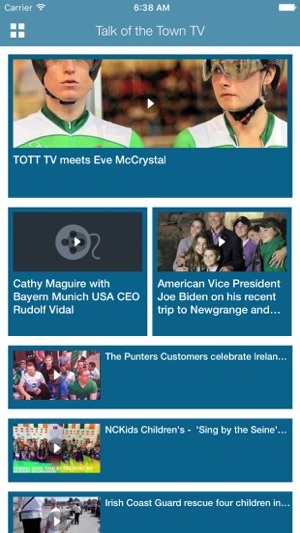 We sincerely hope you enjoy our app and we look forward to improving your user experience over the next few months. 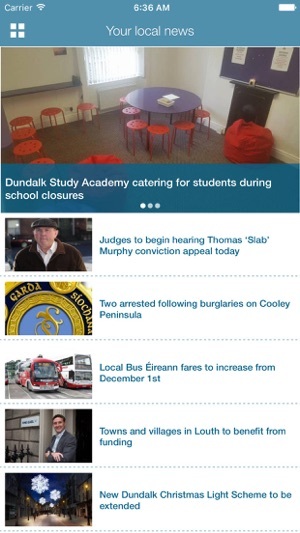 Easy to use and informative news app which covers all that is happening in Dundalk. Well done! Local news provided by means of an easy to use, oft updated app. Brilliant.